2x3.5 Custom save the date magnets 20 Mil square corners are ideal to announce that you are in the love and wish to take your relationship to the next level. With full color printing or CMYK printing you will be able to make the announcement with a confidence. 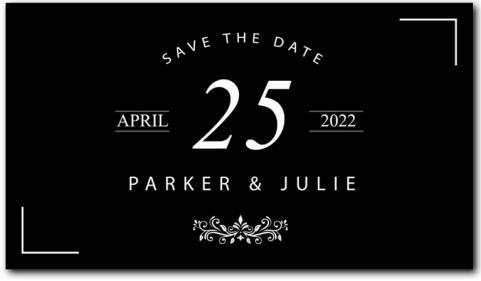 It doesn’t matter whether you are looking forward to a church wedding or theme wedding, these personalized save the date magnets can carry all emotions with ease. You can save on online design proof, artwork assistance, shipping and digital proofs. Order today to avail low price guarantee on these personalized magnets. Request a quote to know what you may save on bulk orders of these 2x3.5 Custom save the date magnets 20 Mil square corners.